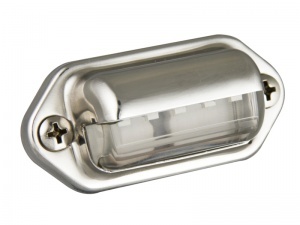 12v or 24v miniature LED lamp suitable for step lighting or courtesy lighting applications. 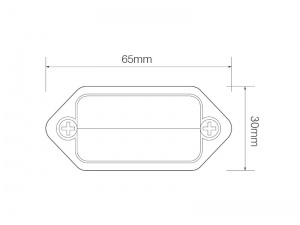 They are only 65mm wide, 30mm high and 24mm deep and are waterproof so can be used in exterior as well as interior applications (a foam gasket seals the mounting face of the light against the mounting surface). 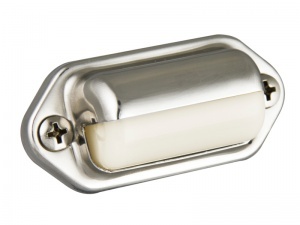 The lamp has a steel, chrome plated housing, comes fitted with a hard-wired 30cm cable and is available with various lens colour options to suit your application. 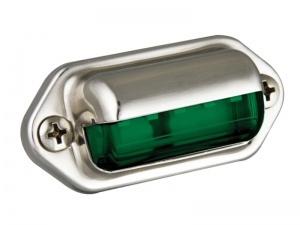 Ideal for use in motorhomes, caravans, campervans, vans, trailers, boats and commercial vehicles. Supplied with screws and available with clear, soft white, red or blue lenses (sold individually). Well made and nice bright blue. Only one problem for my application. It's a surface mount except the cable has to ge through a hole behind the lamp. In my case I can't get access behind where it is mounted so it has to come out the side, which means drilling a small hole in the side of the unit. Considering that I was using this light for something it was not intended for it done really well. Basically I needed a small led light to illuminate some instruments that were difficult to see in some lighting conditions in the cockpit tunnel of a vintage light aircraft. This product did the trick and also looked the part as well. 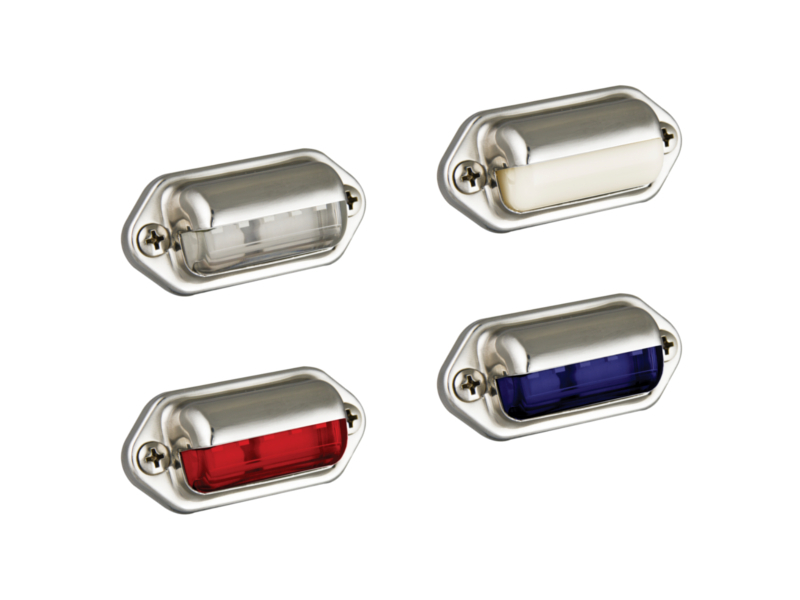 I used these LED step lamps to light a model aircraft display and they were perfect. Good quality and excellent light source. The courtesy step lamp was perfect for for what i needed. Great lights a lot brighter than the old ones, highly recommend them. A VERY SATISFACTORY ITEM . A good product and sent quickly. Five star service,thank you.